Make Burnt Out Lodge the setting for your dream country wedding! 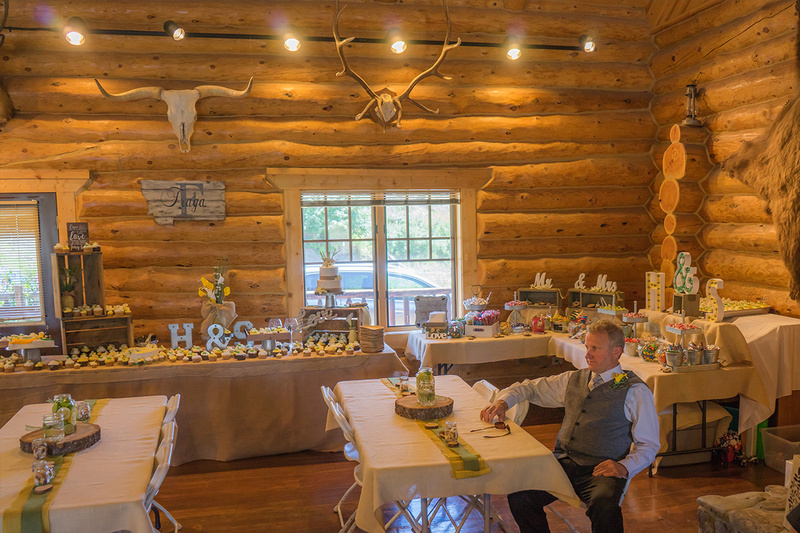 Our magnificent main lodge, located just 13 miles from Big Timber, MT is perfect for both your ceremony and reception. Or take your event outside! Nothing could be more beautiful than a bride descending down the hillside garden path towards a backdrop of green rolling hills and beautiful blue skies. Your wedding photos are going to look amazing! 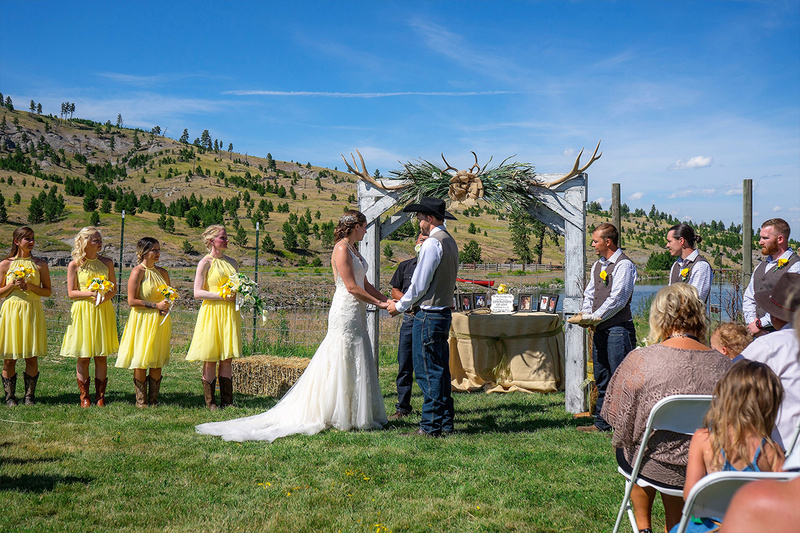 With plenty of room for your guests, heating and air conditioning to keep them comfortable, and our rustic charm, Burnt Out Lodge is easily one of the premiere wedding venues in Montana. And one of the best kept secrets. Your day is going to be just as you imagined! Our lodge has the capacity for a sit down meal of one hundred people, and outdoor weddings can accommodate 150. We can provide up to 17 six foot folding tables, and have a list of available of caterers, cake makers, and wedding officiants if needed. Give us a call with any questions you may have. We are happy to help however we can.